Virgin Coconut Oil – provides shine and strength to the hair, has conditioning properties and even helps promote a healthy scalp which can result in healthy hair growth. It does not make the hair feel greasy and since it is penetrates into the hair shaft, the oil strengthens from within. Aids in sealing in moisture and works well to stop frizz as well. (“lays” your hair and helps with growth). I would really love to hear if you try this or make your own edge regrowth and tame product! This entry was posted in Castor Oil, Coffee bean infused oil for hair, Coffee bean infused oil for skin, Coffee infused oil, Edge regrowth product, Edge taming balm, Edge taming Pomade, Edge taming product, Essential Oil, Mango Butter, Shea Butter, Virgin Coconut Oil, Vitamin E Oil for Hair, Vitamine E Oil for Skin and tagged Castor oil for edges, castor oil for natural hair, DIY Edge regrowth Balm, DIY Edge regrowth pomade, DIY Edge Tame Balm, DIY edge tame pomade, edge control balm, edge control pomade, Edge control product, Edge regrowth Balm, Edge Regrowth Pomade, Edge tame Balm, Edge tame pomade, How to tame edges and flyaways natural hair, natural edge control balm, natural edge control pomade, natural edge control product, natural hair balm, natural hair pomade on February 21, 2015 by Maicurls. My nane is val from Nigeria. 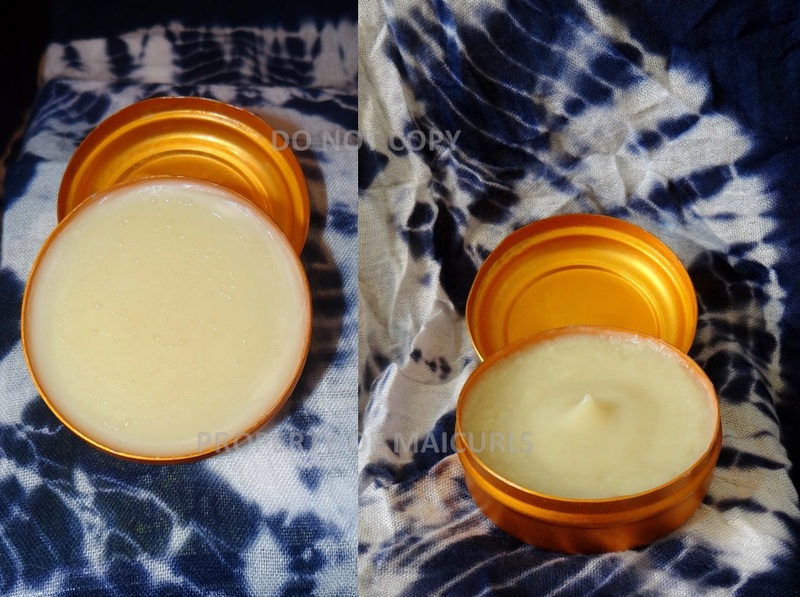 Pls where can i get all these ingredients used in this edge regrowth balm ? Secondly,how can i make the product permanently wax for commercial purpose without keeping it in the refrigerator. My email is Valbraska@gmail.com or whatsapp number +234 8038855684. Lastly do u know about hair bonding glue formulation and ingredients ? Thank you for reading and commenting. You can get the butter from sheabuttercottage.com. The remaining ingredients (e.g oils) can be purchased in a regular supermarket. The only way to keep it in a thick balm state is to add a wax to the mix e.g. beeswax or natural wax. I am sorry but I have not experimented with wax so I will be of no help there. 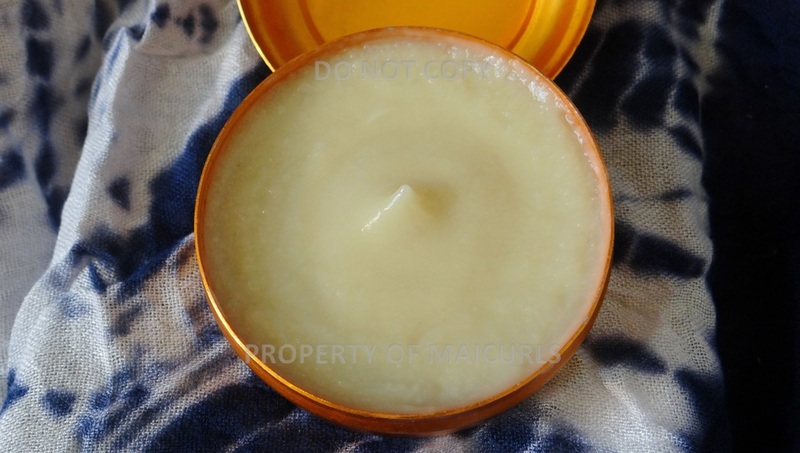 (Search online you will find a few recipes that includes beeswax). I haven’t a clue at all about bonding glue, so once again sorry but I can’t help in that regard. Hello there, I appreciate your information and video. I am going to gather these items today to create the promade or balm. I have a question about the coffee bean infused almond oil. How do I create that? Thanks! Hi! Thank you so much for watching the video and commenting :). I have a video on how I make my coffee bean infused oil here: https://youtu.be/1i-egVRp0xw and also have a blog post about it: https://maicurls.wordpress.com/2014/11/27/diy-coffee-bean-infused-almond-oil-recipe-6/. I really hope you like the pomade/balm. I would love to hear what you think once you’ve tried it 😀 Thanks again! mango butter in this recipe is a definate win for me! 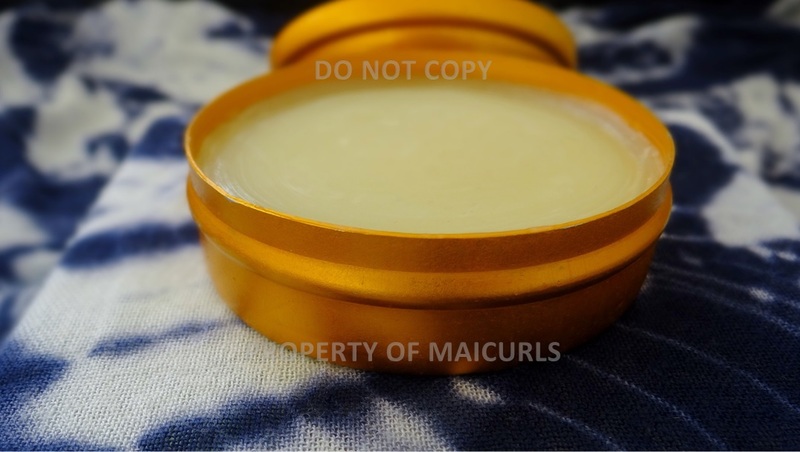 Mango butter is pretty awesome Kangopie :), You could probably do this with just mango butter (replacing the Shea) but I personally haven’t tried, it would be worth a test :). Thank you! I am a container junkie (I’ve got it bad lol). I usually look in the isles in supermarkets where they sell regular containers and glassware but those can be a little expensive, I also get them from a really kitsch shop because they happen to have really nice jars/containers for cheap (it basically would be similar to a $1, $2, $3 store where everything is less than $3) lol.. But I ALSO reuse containers, I disinfect everything and then reuse them for my DIY’s. I ask my family not to throw away their containers and reuse those too. 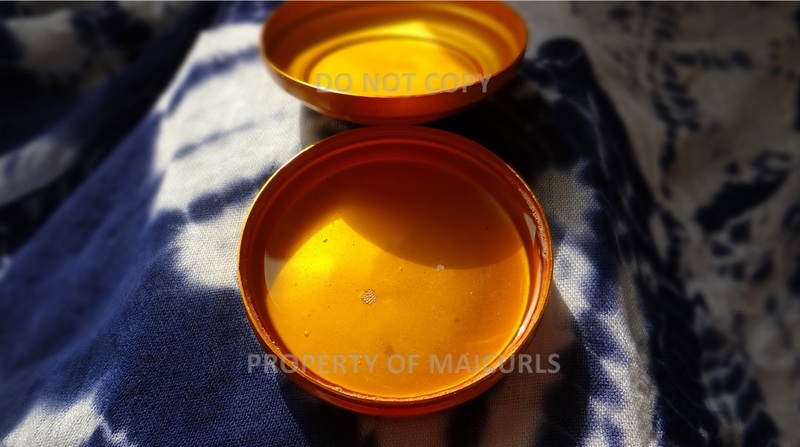 This particular container had incense cones in it, so I just disinfected the container once I used up the cones 🙂 I am sure if you look around your place/families place you will find a ton of pretty reusable containers. YES! Thanks makes perfect sense. I know my father keeps jars from everything and has them lying around. Thanks for the tip.